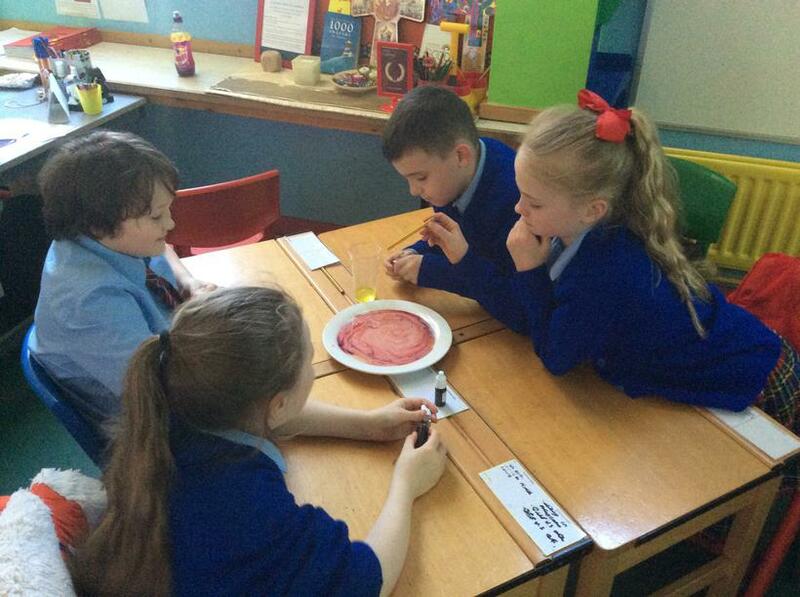 The focus of British Science Week this year is ‘Changes’. 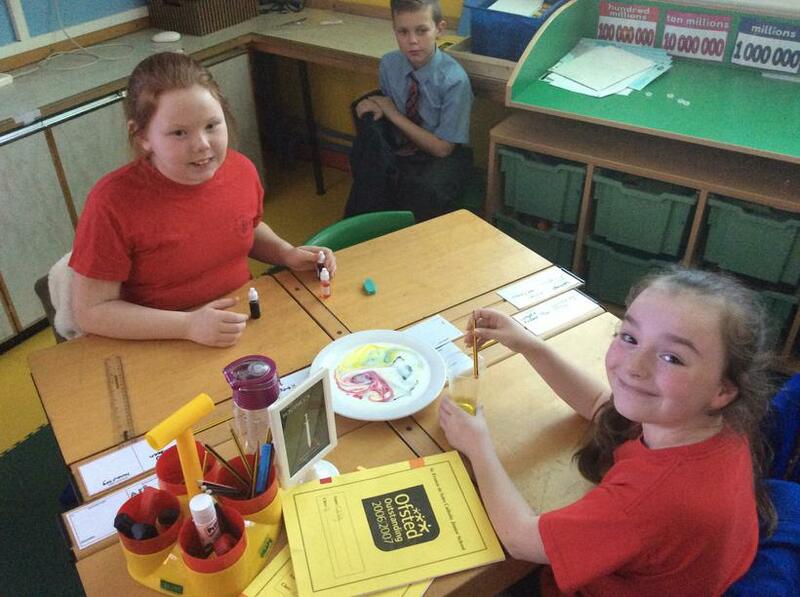 Whether it’s change in temperature, materials, states or even colour! 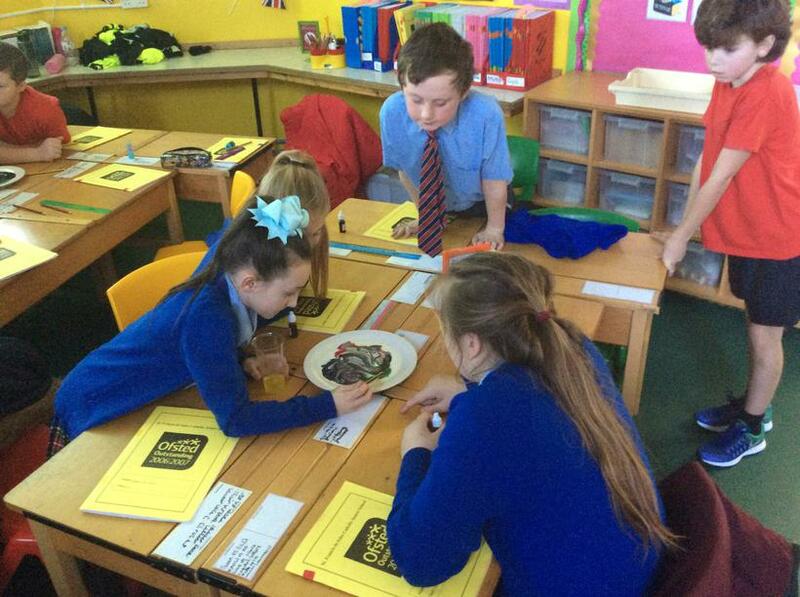 This ties in quite nicely with our current Materials topic, which has involved looking at what happens when certain materials mix. 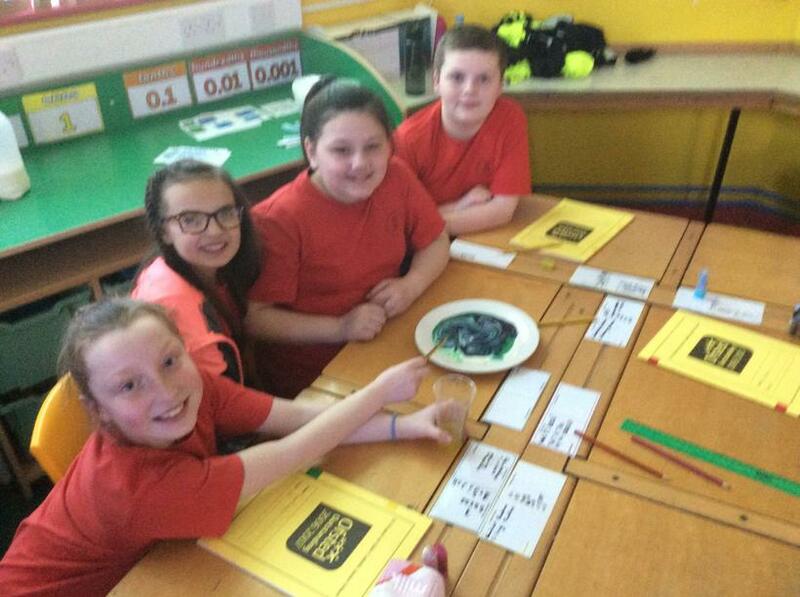 Today, we discovered what happens when we mix a strange combination of ‘ingredients’… food colouring, whole-fat milk & washing up liquid! 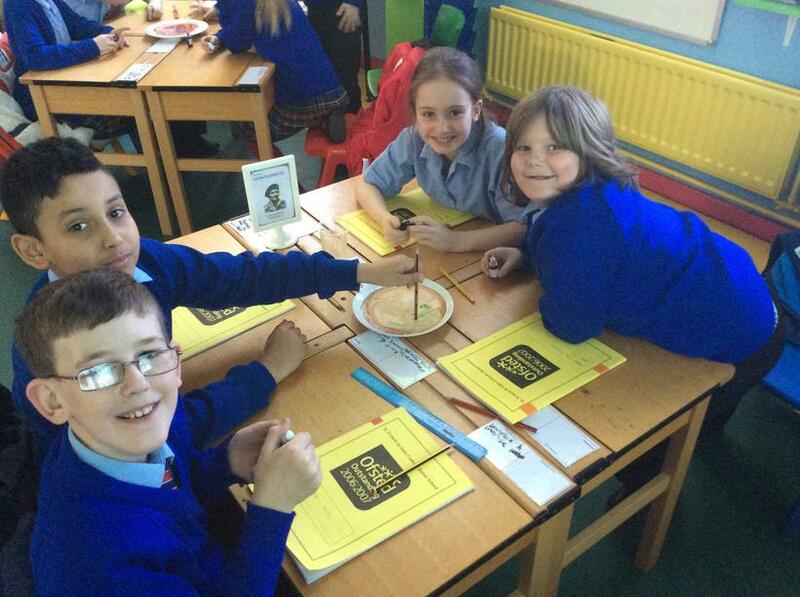 Today, in Science, we did an extremely fun experiment for British Science Week! 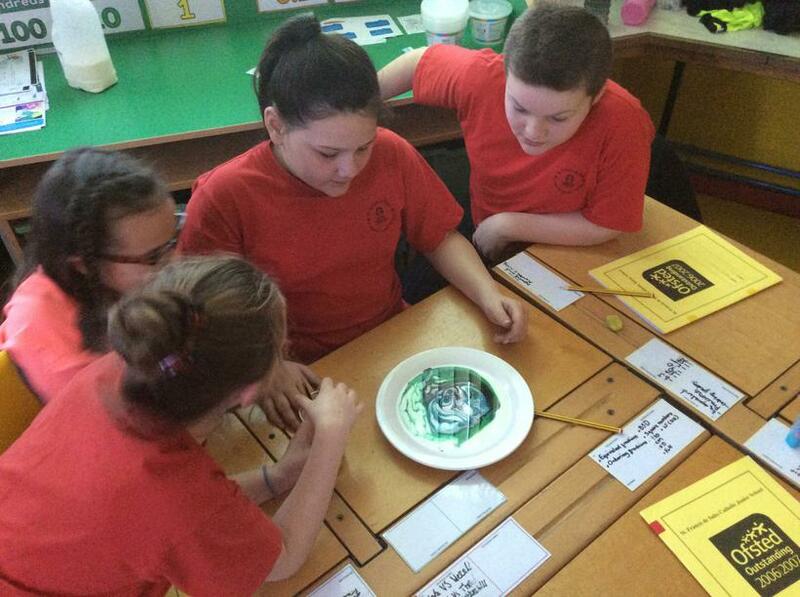 It involved milk, food dye and washing up liquid! 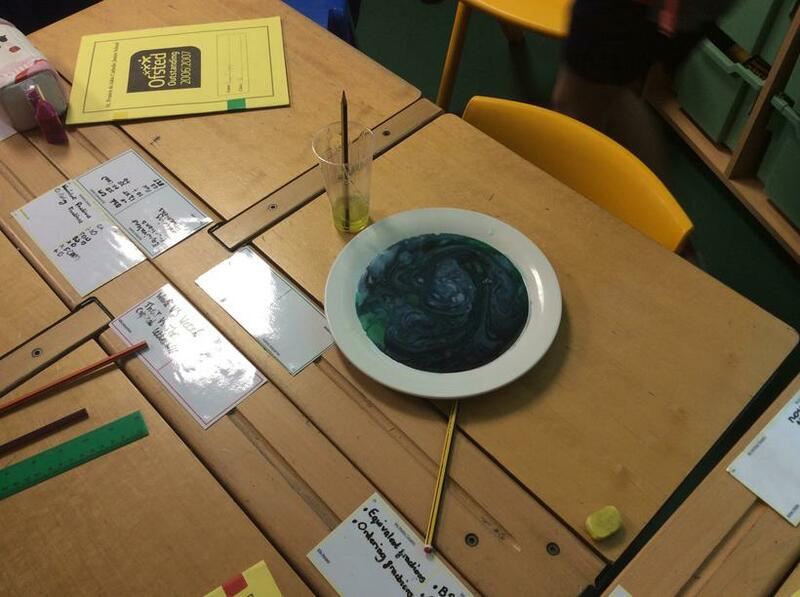 We had to pour a certain amount of milk into the bowl and then put three drops of three different colours of food dye on top of the milk. 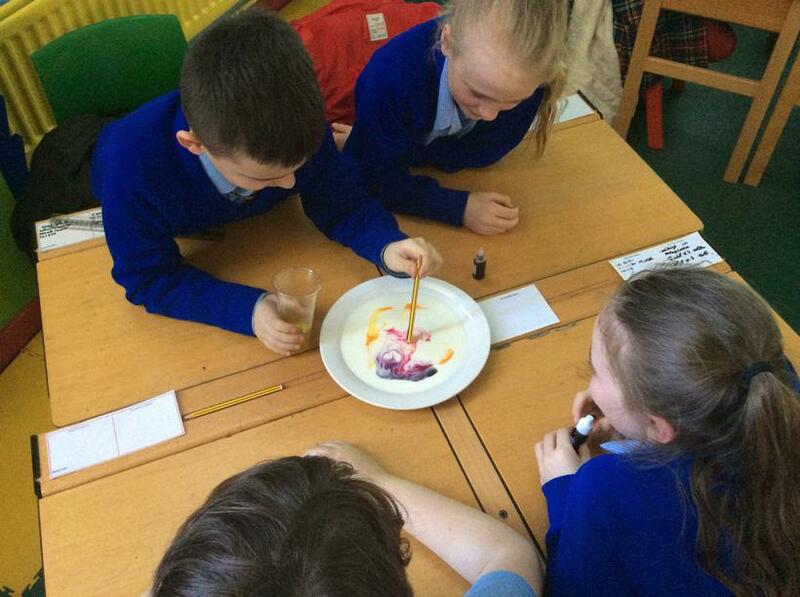 At first, nothing happened and the dye just floated on top of the milk; however, once we dropped some washing up liquid into the milk, it sent the food dye spiralling in all directions! 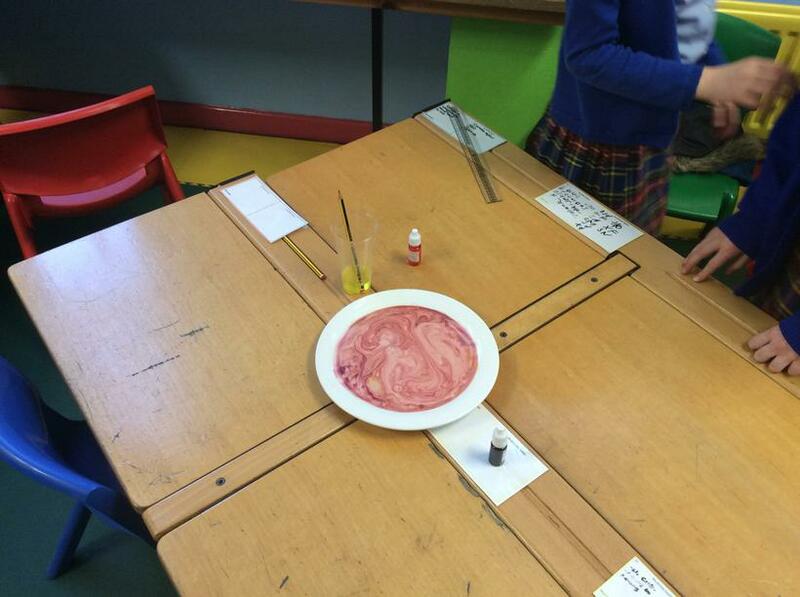 It even changed colour and shape, depending on where you put the dye. 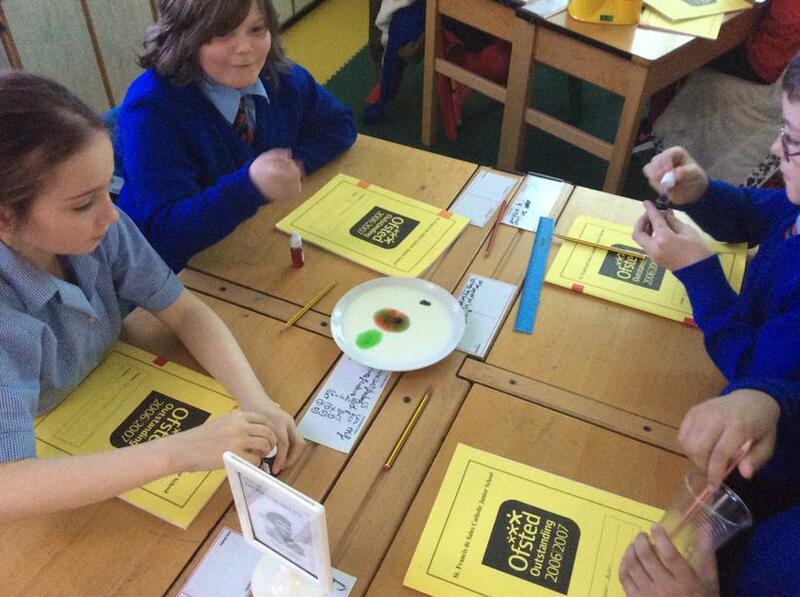 It was so much fun, we are really loving British Science Week!